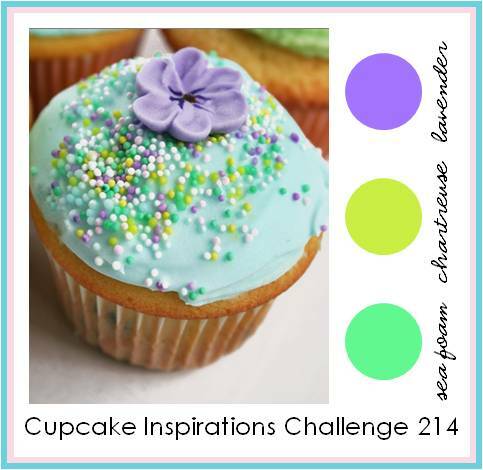 It's time for this week's Cupcake Inspirations Challenge and today we are celebrating with some color inspiration. This week we are sponsored by Taylored Expressions where you will find some really wonderful stamps and stamp sets. I sent this card to one of my teacher friends who has just finished the school year and NEEDS to relax now. What a stressful job!! To make my card I used some Basic Grey Lime Rickey paper and the InstaFrame Die from MFT Stamps. 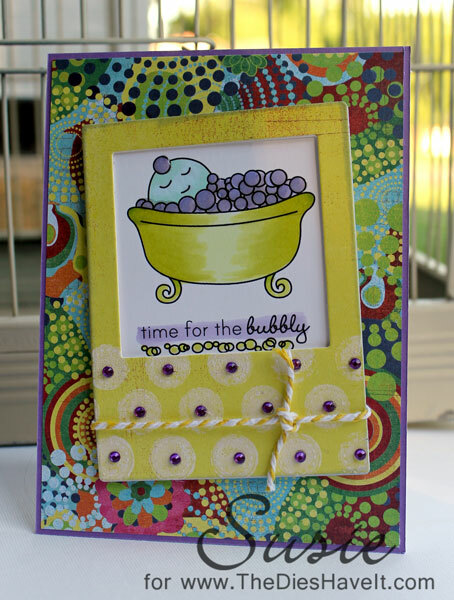 I added the circle stamps and bling to just bring in a bit more dimension. Add your project based on our inspiration photo.